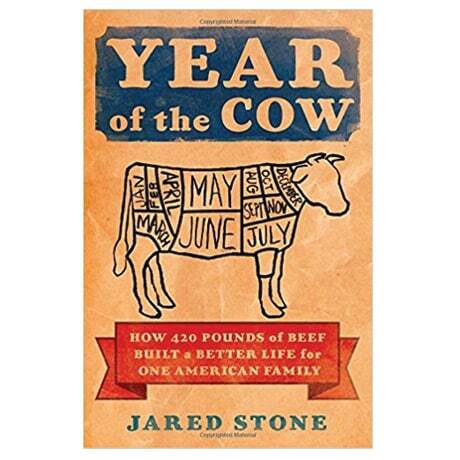 After realizing he knew more about the television on his wall than the food on his plate, television producer and amateur chef Jared Stone bought 420 pounds of beef directly from a rancher and embarked on an inspiring, often hilarious culinary adventure. With a pioneering spirit and the help of an incredibly supportive wife and a cadre of highly amused friends, Stone cooks his way through his cow, becoming more mindful of his diet and making changes to his lifestyle. He bravely confronts challenges he never expected—like how to dry beef jerky without attracting the neighborhood wildlife, and how to make meals from cuts like the tongue and heart?and offers a recipe at the end of each chapter.